Whether it’s your first server or your latest refresh, the space-saving PowerEdge R220 is ideal for a variety of workloads and for organizations of all sizes. Install your server in a wide range of settings, thanks to a short chassis depth of (15.5") that makes the R220 more compact than competitive servers. Easily deploy in a short-depth rack, on a countertop or in a data center and have ample space for cabling or for connecting devices to the 5 USB ports. 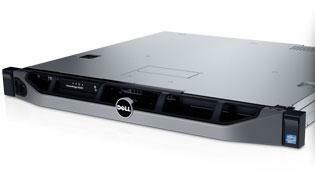 Quiet, office-level acoustics make this server ideal for open-office environments and can reduce noise in data centers. Intuitive systems management features help you simplify IT tasks and save valuable administrative time. With embedded, agent-free management, you can reclaim hours of time, eliminate steps to perform tasks and reduce the potential for error. Deploying, monitoring and managing your PowerEdge servers is made easy with Dell OpenManage Essentials, a simplified systems-management console for managing Dell hardware. 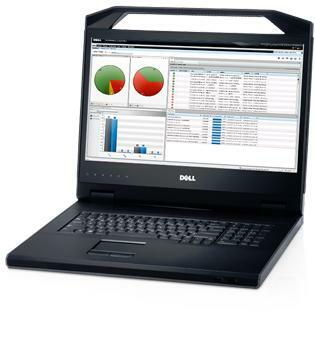 Have in-band or out-of-band control of physical, virtual, local and remote systems, with or without a software agent, using the integrated Dell Remote Access Controller 7 (iDRAC7) with Lifecycle Controller. Get the most out of your applications with the Intel® Xeon® processor E3-1200 v3 family featuring 33 percent more cache per core. Help improve response times with up to 32GB of memory in four DIMM slots and boost data-transfer speeds with latest-generation PCIe Gen3 I/O. Essential data-protection and reliability features help keep your systems up and running, while long lifecycles help ensure IT stability. Protect against data loss and run workloads reliably with hardware RAID options. Help maintain data availability with error-correcting memory. Gain platform stability and enhance ROI with a multi-year lifecycle.